This Kidkraft Deluxe Let’s Cook Kitchen is a great deal right now at just $149.22 Shipped (from $202.22). 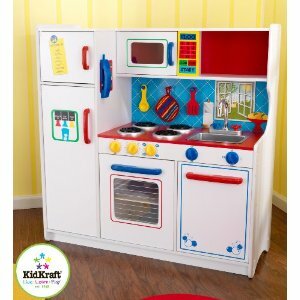 Kids love playing make believe and this Kidkraft Deluxe Let’s Cook Kitchen is built to last. Reviewers on Amazon give it 4.5 Stars with over 100 reviews. A toy like this will likely get years of use! 3 Boxes of Cinnamon Chex just $6 Shipped + More!